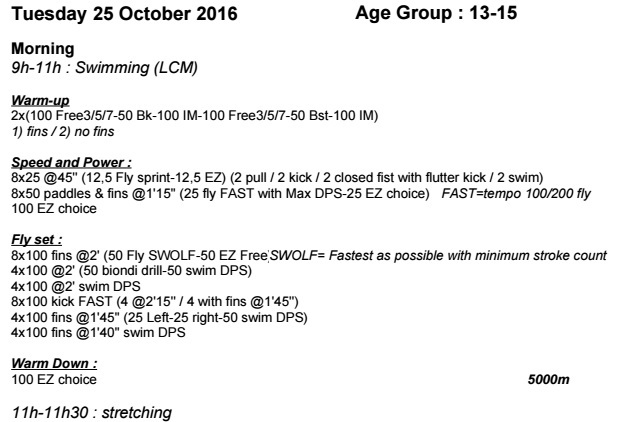 Age-Group 13-18 / 50-100-200 swimmers. 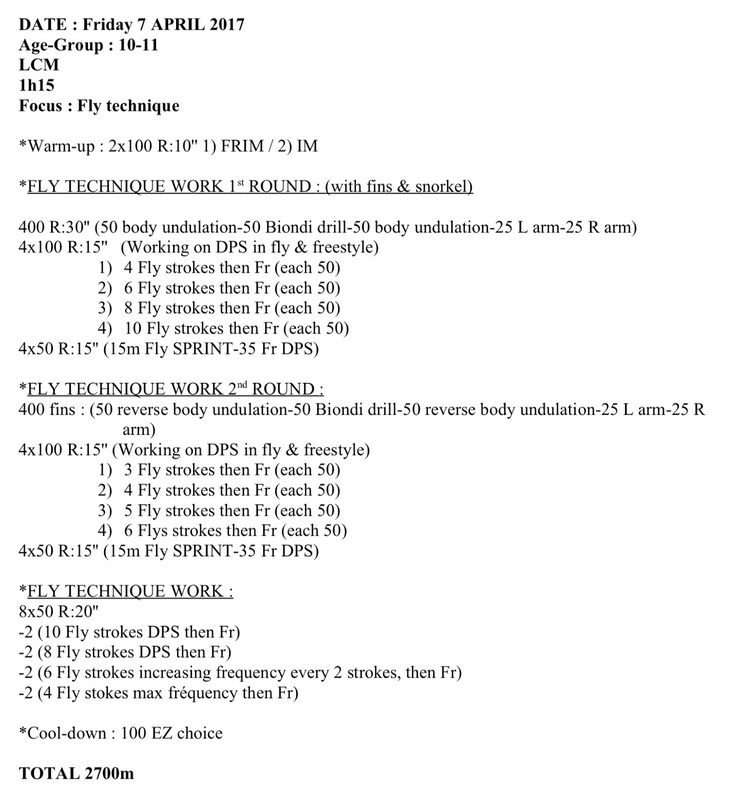 Below is the training plan for Coach Leroy’s 50-100-200 Juniors group for the month of January and one of his recent workouts. 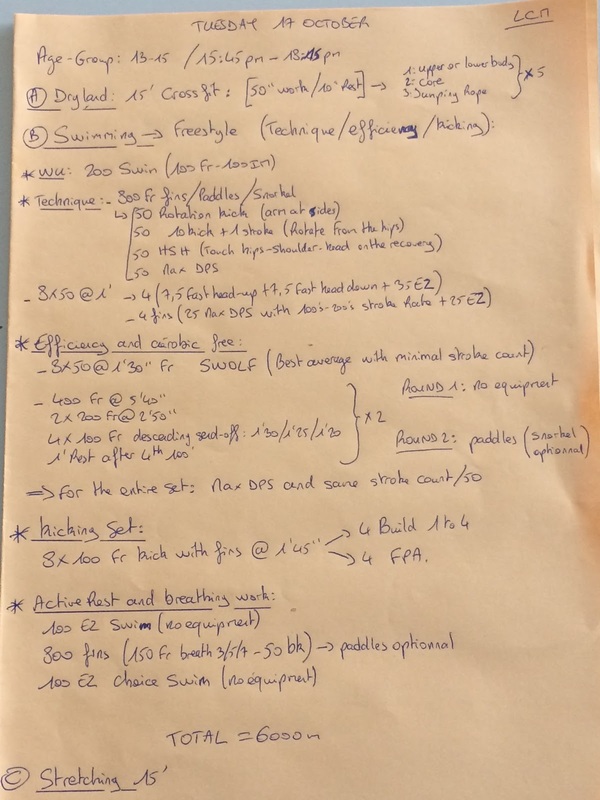 This set can be adapted for any stroke. See more sets from Coach Leroy here. 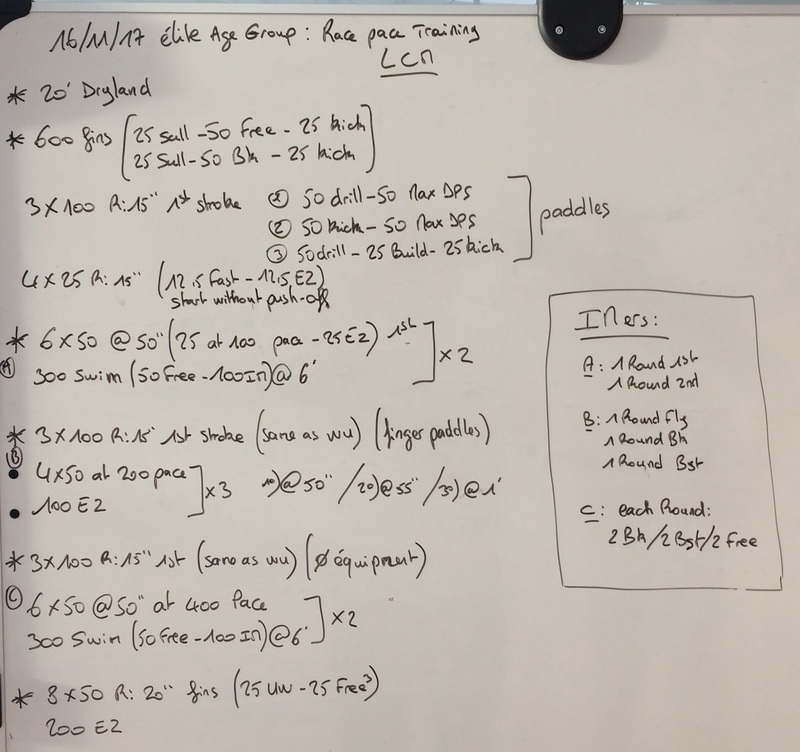 A “no pain, no gain” set emphasis lactate tolerance training. 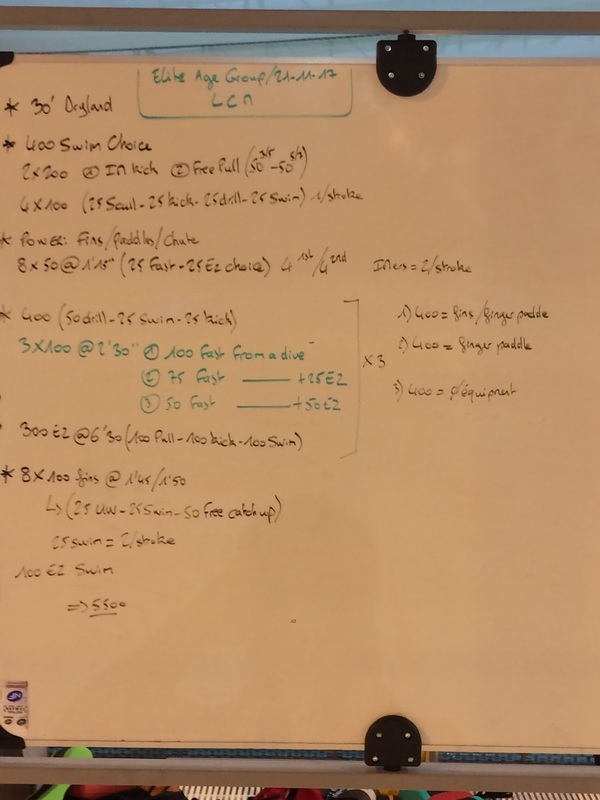 This is a new workout focusing on multi race pace training (100-200-400). My élite âge group did this session on Thursday 16 November 2017. This is another workout I’ll do this afternoon with my élite age-group. This set took place on the same day as yesterday’s post, in an afternoon session. Editor’s Note: Have you checked out Bob Bowman’s new book yet? The Golden Rules is a Swimming Wizard recommended read. 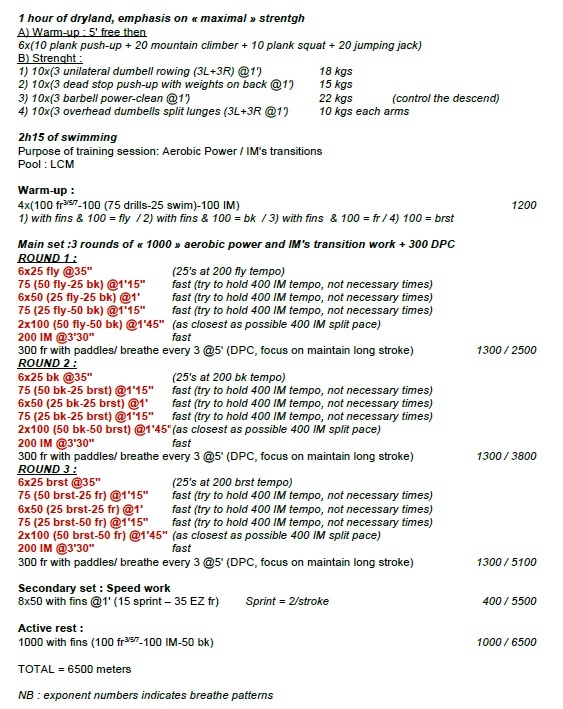 If you want to download this workout in PDF form, click here. 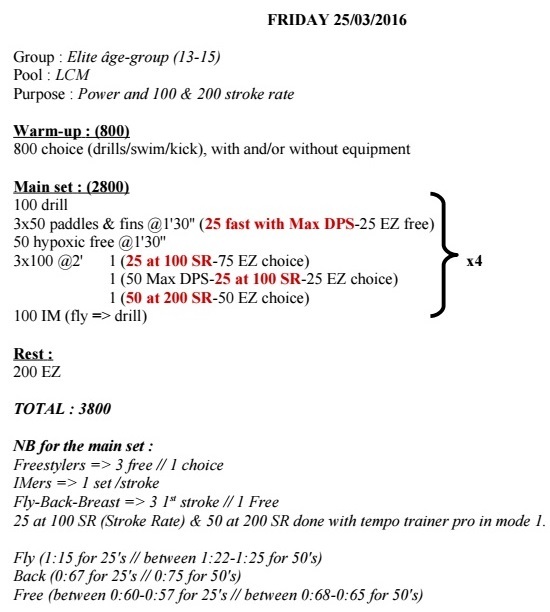 I work with swimmers between 13 and 15 who are qualifying for French elite nationals or young French nationals. 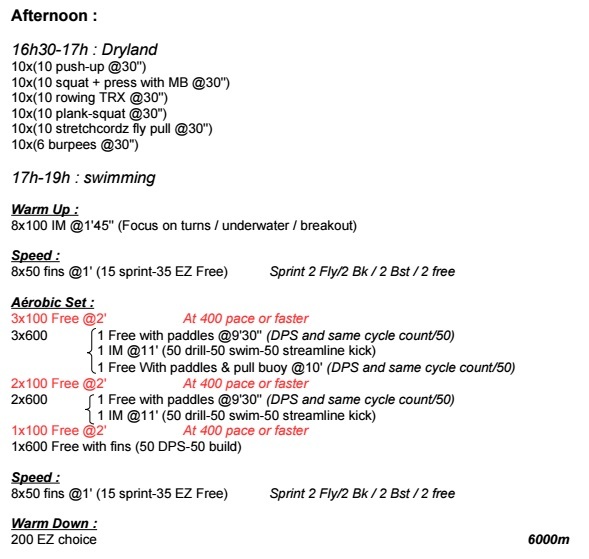 We did this workout in a long course meters pool. 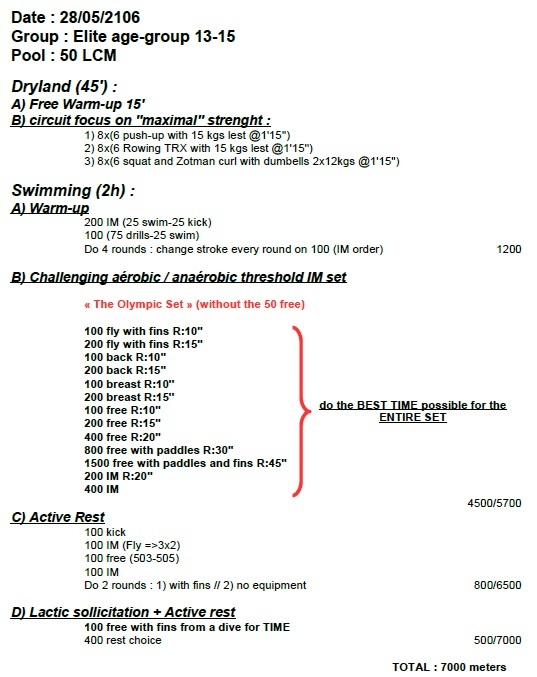 #19 (with fins)/20 are active rest: (50 Bk kick-100 IM swim-50 Fr swim). 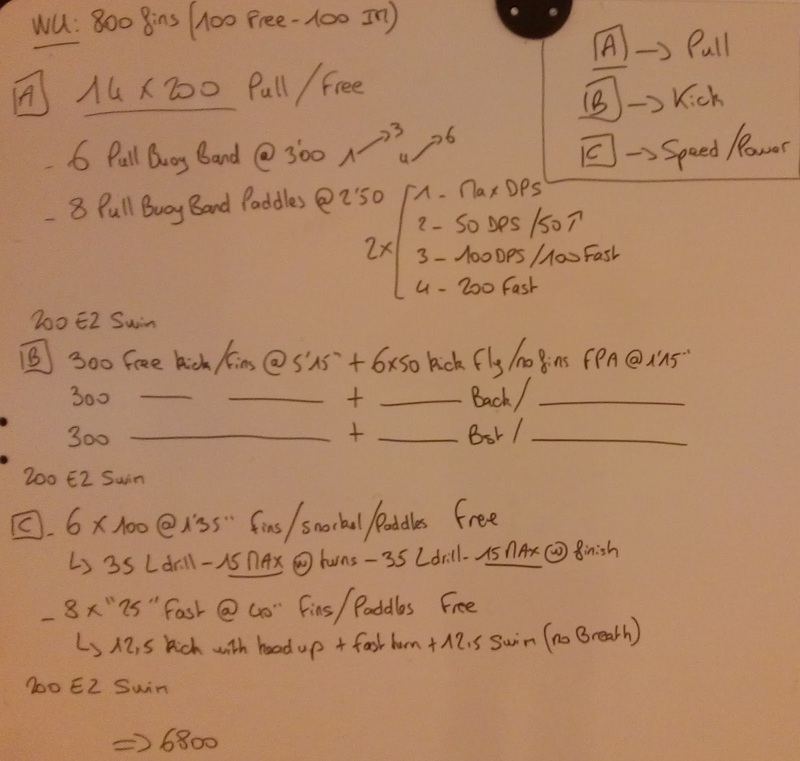 400’s => focus on long stroke and same number at each lap.